CLEAR SPAN GAMBREL BARN STYLE ATTIC TRUSSES 2′ O.C: 20’W x 50’L x 8’H Room Size ~ 3/4″ Plywood Floor ~ 36″ Wide L-Shape Stairway. Roof Overhangs: Overhang boxed-in w/ vented soffit & painted fascia trim: 12” Sidewalls, 12” Gable Ends. 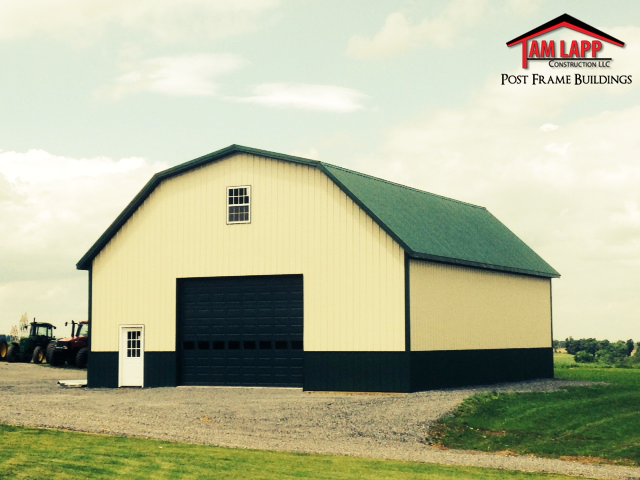 Entry Doors: (1) 3068 9 Lite..
Garage Doors: (1) 16’W x 12’H Insulated. Building Colors: Evergreen Roof, Beige Siding, Brown Trim.